Formulated for all hair types, Riche Leave-in adds instant moisture and shine so that hair is tangle free and ready to style in seconds. Regular use of Riche Leave-in will strengthen the hair, give manageability and add amazing body and shine. Riche Conditioner - 8.5 oz - Other sizes/options. Riche Conditioner - 16 oz - Other sizes/options. Riche Conditioner - 33 oz - Other sizes/options. Riche Conditioner - Gallon - Other sizes/options. Riche Leave-in Conditioner - 8.5 oz This item is BACKORDERED from the manufacturer. Trevor Sorbie Spraye XL Hair Spray delivers a fabulous finish with firm, yet flexible hold. Spraye perfects any look with body, movement and shine. Its dry mist allows you to rework your style without stiffness or stickiness. Cleane Chemically Treated Shampoo - 16.5 oz - Other sizes/options. Cleane Chemically Treated Shampoo - 33 oz - Other sizes/options. Cleane Chemically Treated Shampoo - Gallon - Other sizes/options. Cleane Forme Shampoo - 8.5 fl. oz. - Other sizes/options. Cleane Forme Shampoo - Liter - Other sizes/options. Cleane Normal Shampoo - 33 oz - Other sizes/options. Cleane Normal Shampoo - Gallon - Other sizes/options. ideal shampoo for every day use to cleanse and revitalize the hair. The rich herbal scented lather removes styling product build-up without drying the hair, leaving it full of body and shine. An incredibly gentle moisturizing and conditioning formula to help your hair look and feel its best. Fatty acids and hydrogenated moisturizer nourish the scalp and hair to improve overall condition by adding moisture. Hair Glue - 4 oz. Lift-it Voluminizer - 8.5 oz - Other sizes/options. This item is BACKORDERED from the manufacturer. A body building spray particularly effective for fine limp hair. Lift-it Voluminizer gives tremendous strength, texture and root lift. Fortified with keratin protein and moisturising conditioners to encourage shine and eliminate static. Lift-it used to create volume and protect from heat while blow-drying. Lift-it Voluminizer - Liter - Other sizes/options. This item is DISCONTINUED by the manufacturer. 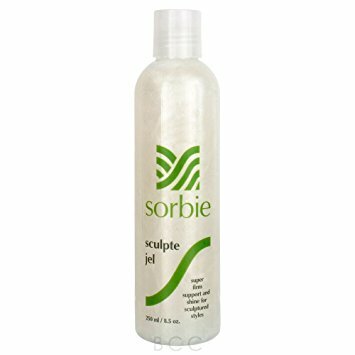 Sculpte Jel - 8.5 oz - Other sizes/options. Sculpte Jel - 16.9 oz - Other sizes/options. Sliquid - 8.5 oz - Other sizes/options. Sliquid - Litre - Other sizes/options.